Home Reviews Comparing Google Maps with Waze, Which is Better? Waze and Google Maps are mandatory applications for most travelers or new arrivals in a region. Some users prefer Waze because it is thought to provide more alternative routes. Updates of traffic information are also shown faster. Some people prefer Google Maps because there are more choices of transportation routes. Then, which one is superior between these two Google-made map apps? Before answering the question, KompasTekno has summarized the difference between the Waze app and Google Maps, as quoted from Digital Trends, Tuesday (20/2/2018). Waze owned Google in 2013 ago after it was acquired from Waze Mobile, an Israeli company. Google’s acquisition of Waze is worth 1.3 billion US dollars (Rp 17.6 trillion). When using Waze, drivers will be notified turn-by-turn, from place of origin to destination. Like Google Maps, Waze will also display the travel time and route details to be traversed, including alternative routes, crash info, traffic jams or road closures. The difference is, Waze also provides information about traffic raids and one-way road changes, where this information is not found on Google Maps. Detailed routes in Waze are more real-time as they use the concept of crowdsourcing, that is, Waze relies on information provided by fellow Waze users. In other words, Waze is a social media-based navigation app, which allows its users to share traffic information. To date, Waze only provides routes for motorists and motorists, along with mileage information and time estimates, including if stuck in traffic. This app will record the user’s travel history, from common routes, frequently visited locations, to home hours. 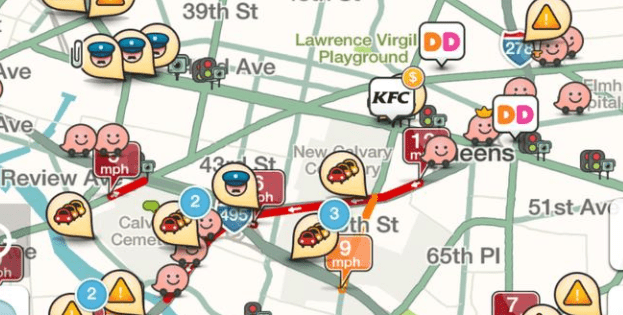 Waze features some excellent features like more navigation voice options than Google Maps. There are even some sound options as a travel guide. Users can also record their own voice then share it to fellow Waze users. In addition, Waze is also integrated with the Spotify music streaming app. 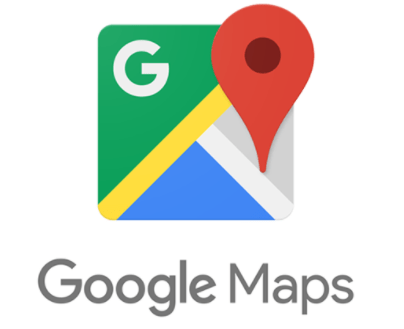 Unlike Waze-based social media, Google Maps is a standard navigation app. However, Google Maps displays more choice of transportation routes such as bicycles, pedestrians, and public transportation such as buses. transportation like Go-Jek, Uber, or Grab, complete with estimated time and travel costs. Route details in Google Maps are also richer with information, such as ATMs, places of worship, rest areas, restaurants, and so on. If Waze integrates with Spotify, Google Maps integrates with Google Street View and satellite, making it easier for users to find locations. In areas that tend to be remote from the reach of the Internet network, Google Maps can still work even in offline mode. At the intersection, the navigation sounds on Google Maps will alert you before the driver has to turn. In the update, Google Maps also provides a step-by-step feature that will give a signal if the user has to change bus stops, or train lines. The accuracy of Waze and Google Maps is considered through several factors. In urban routes, Waze is superior to finding more alternate routes, and is quite accurate because it is self-infused by Waze users. But to cut the time, Waze is not so underdog. Most alternative routes, directed toward small streets in residential areas. This alternative route is quite useful, but because of many turns, it will not necessarily save time. While Google Maps, although there are features of crash warnings, congestion information, and alternative routes, the information displayed is not so real-time. But Google Maps can still bring the driver to the destination location. So, if you prefer navigation that provides fast and real-time traffic information, Waze can be an alternative. But if you need a navigation application with a simple interface and can work in remote areas offline, Google Maps can be an option. Previous articleScore “Antutu” Xiaomi Gaming Phone Revealed, Compared Razer Phone?